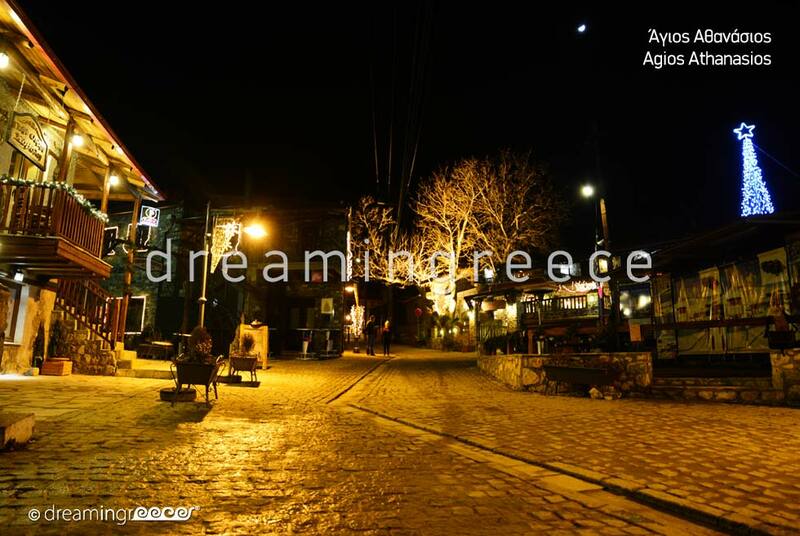 The town of Old Agios Athanasios is a traditional preserved settlement of the Prefecture of Pella, built in an area of unique natural beauty, on the slopes of Voras or Kaimaktsalan Mount within a stone's throw away from the borders between Greece and FYROM. The stone houses with the tiled roofs, the cobblestone streets and the magical view of Vegoritida Lake create a fairytale setting and lend this beautiful place a special charm. 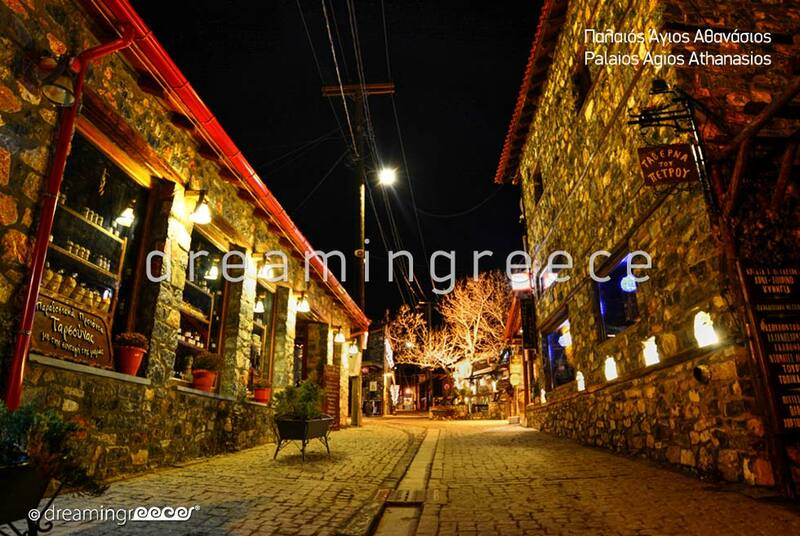 The "Stone Village", as it is called, boasts a fine touristic infrastructure, offering chalets, guest-houses and luxury hotels, traditional taverns and restaurants serving ouzo, café/bars and nightclubs, all built with respect to the local architecture, which is based on wood and chipped stone. A sight of great importance is the church of the Ascension, built in the 17th century, located at the edge of the village, as well as the church of St. Athanasios, standing on the homonymous hill, offering beautiful view to Vegoritida lake and the lakeside villages. Particularly impressive is the chapel of St. George, where five trees uniting, form the shape of a human body. 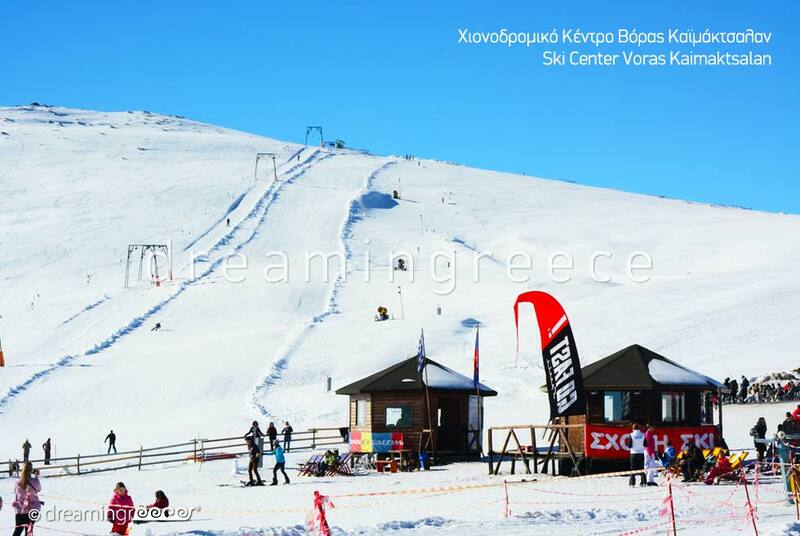 Old Agios Athanasios makes an ideal base for visiting the ski resort of Kaimaktsalan-Vora; one of the most popular ski resorts in Greece, with modern facilities and a long period of snow. Even if you are not ski or snowboard lovers, it is worth paying a visit to relax in its chalet, where you will find a traditional restaurant, fast-food and a coffee-bar offering a panoramic view. Hallmark of the ski resort is the chapel of Prophet Elias, located on the border line, constituting a monument of the First World War. Apart from winter sports, the ski resort offers the ''adventurers'' the opportunity to take up a variety of other activities in the wider region, such as mountain hiking, climbing, mountain biking, archery, off-road 4 × 4 driving, as well as gliding and paragliding. 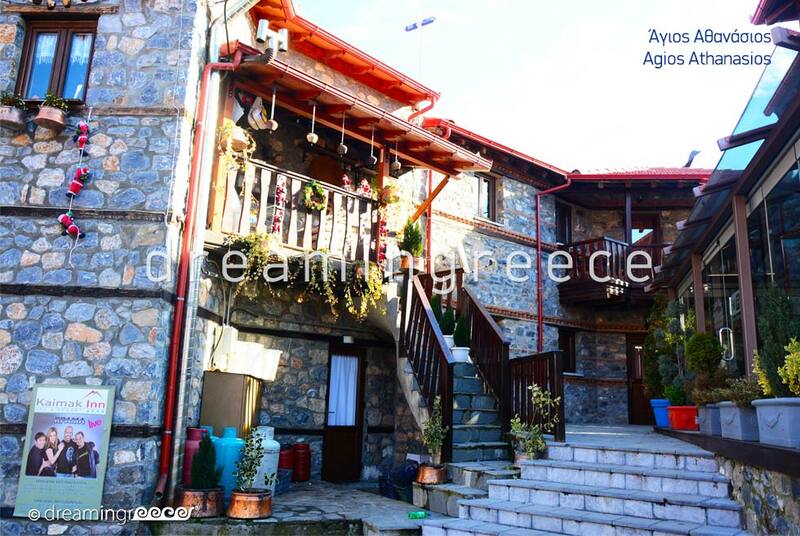 The once abandoned village of Old Agios Athanasios, "combining" the traditional architecture harmoniously with the heavenly natural beauty of the place and having as an ''ally" the Kaimaktsalan-Vora ski center, has now grown into one of the most popular winter resorts in the country, ready to seduce any visitor! 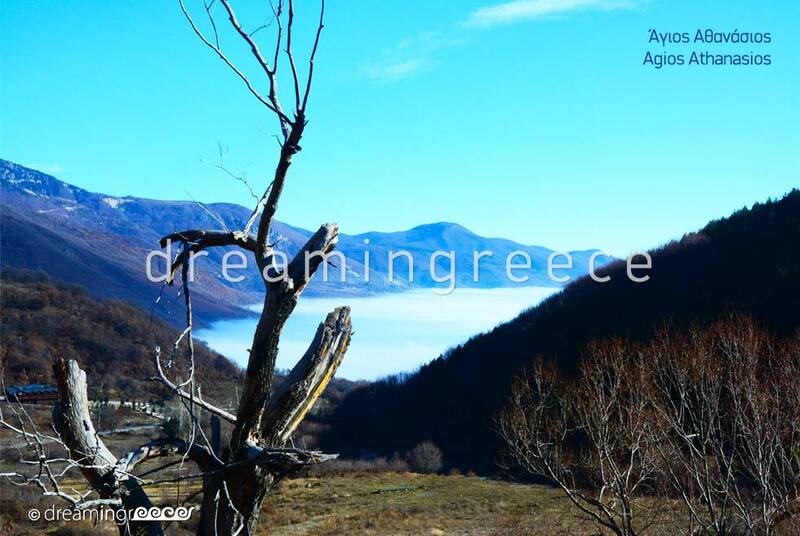 To reach the town of Old Agios Athanasios, you can drive from Athens (573 km distance - 6 hours and 30 minutes ride) via the National Highway from Athens to Thessaloniki. Take the exit to Egnatia Highway, heading to the cities of Kozani and Veria and then take the exit for Alexandria town. Follow the country road from Alexandria to Giannitsa and once you reach Giannitsa, head to Edessa. You will then take the road from Florina to Edessa and turn right to the villages of Arnissa and Panagitsa. After you pass Arnissa village, head, firstly, for the town of New Agios Athanasios and, finally, for the town of Old Agios Athanasios (Coordinates GPS: 40.843213, 21.770601). 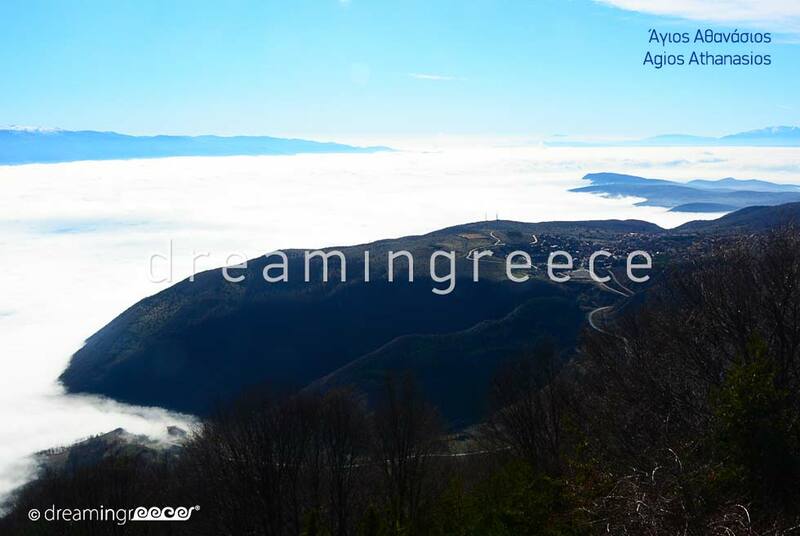 To reach the town of Old Agios Athanasios you can drive from Thessaloniki (120 km distance - 2 hours ride). Take the Egnatia Highway heading to the cities of Kozani and Veria and then take the exit for the town of Alexandria. Follow the country road from Alexandria to Giannitsa, and once you reach Giannitsa, head to Edessa. You will then take the road from Florina to Edessa and turn right to the villages of Arnissa and Panagitsa. 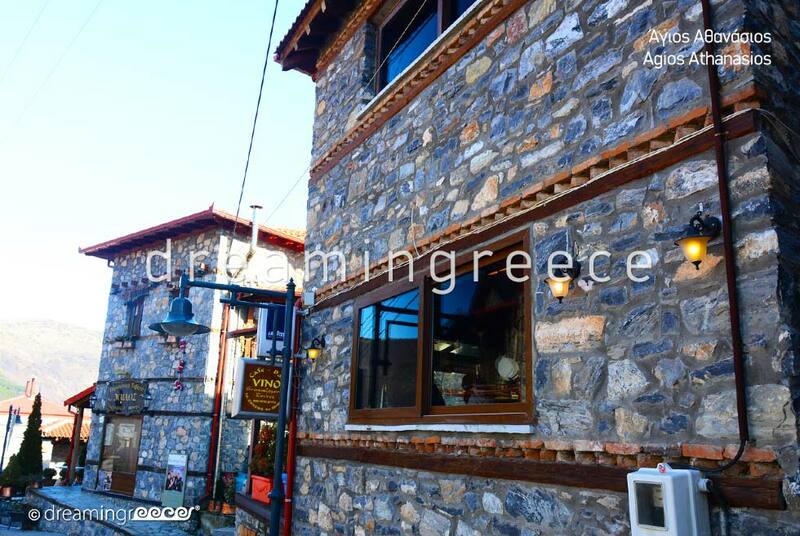 After you pass Arnissa village, head, firstly, for the town of New Agios Athanasios and, finally, for the town of Old Agios Athanasios (Coordinates GPS: 40.843213, 21.770601).